Super White dolomite is a very popular stone from Brazil. It is also known in the Australian market as White Fantasy. Super White is so popular, as it has the look of marble, but with increased strength and durability. Typical marbles are soft and porous. With this unique dolomite, there is less stress and worry. Confusion often surrounds this stone, due to it’s unique makeup of dolomite and quartz. The large white parts are a dolomite marble, which is slightly harder than a typical marble. 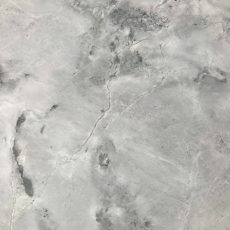 The quartz veins running through the stone aid it’s structure greatly, making it less porous, stronger, more durable and less prone to staining and etching. This beautiful stone is used in kitchens, bathrooms and commonly as a tabletop. It is commonly used as a wall covering and splashback material also. 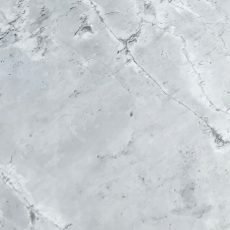 The Super White quarry grades the product depending on it’s tones and patterns. 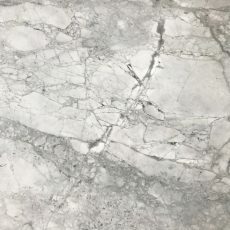 It is classified as either SW White, SW Dark, SW Arabescato or Calacatta. Victoria Stone Gallery has a regular and consistent supply of beautiful slabs of this stone.